The reason why I chose to listen to audiobooks is primarily because I instantly fall asleep when I read most books. Not because they are boring, but because my body has some sort of turn off switch. It’s like I read one word and BAM! Lights out. Listening to audiobooks engages me. Plus, I can listen in the car to and from anywhere I go. Here’s the big reason why I’m doing this. Charles Duhigg, author of “The Power of Habit,” calls it a “Keystone Habit”. Basically, it’s a positive habit that sparks another positive habit. Here’s an example: If you exercise, you have a greater potential of choosing better foods to eat each day. For me, the hope is that if I create the habit of reading/listening to audiobooks that it will help me to build the habit of learning. One thing I know, all leaders are constantly learning and I want to be that kind of leader. So, here is my reading list. My hope and prayer is that, by doing this, I create a Keystone Habit that influences the rest of my life. 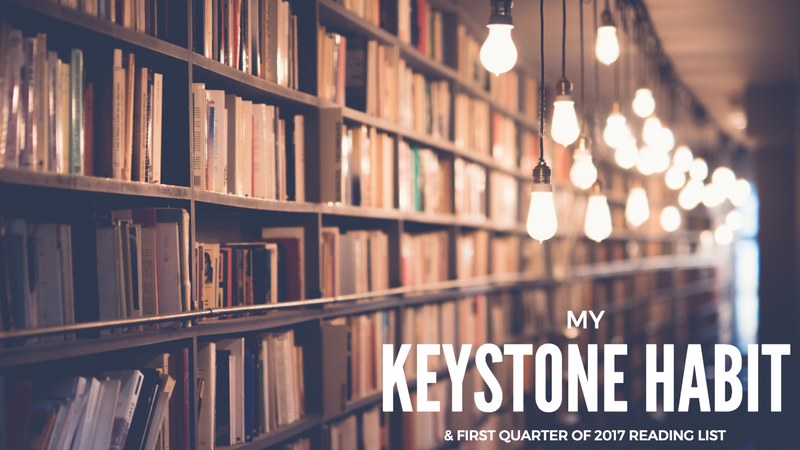 What’s your reading list or “Keystone Habit”? I’d love to hear from you. This is me … Husband, Dad, Friend, Consultant, & Coffee Addict. My goal — to help you lead and communicate well. Helping church leaders reach the people God’s called them to reach.